In January 2016, WNCG welcomed two new faculty to its ranks - the husband and wife dynamic duo of research, Profs. Andrea and Edison Thomaz. Prof. Edison Thomaz, who joined WNCG as a Research Assistant Professor, holds a PhD in Human-Centered Computing from the School of Interactive Computing at the Georgia Institute of Technology, and a SM in Media Arts and Sciences from MIT Media Lab. Prior to academia, he held industry positions at leading technology companies such as Microsoft and France Telecom. His research focuses on the sensing, recognition and modeling of daily human activities for the service of health and well-being applications. His work combines technical approaches from Ubicomp, HCI, machine learning and signal processing to develop new human-centered approaches for collecting, visualizing and analyzing activity-centered sensor data using commodity devices. Prof. Edison Thomaz’s work has received awards from leading conferences such as Ubicomp, ICMI, IUI and CHI. Prof. Andrea Thomaz, who joined WNCG as an Associate Professor, previously served as an Associate Professor of Interactive Computing at the Georgia Institute of Technology from 2007-2016. She earned a BS in Electrical and Computer Engineering from UT Austin and a MS and PhD from MIT. 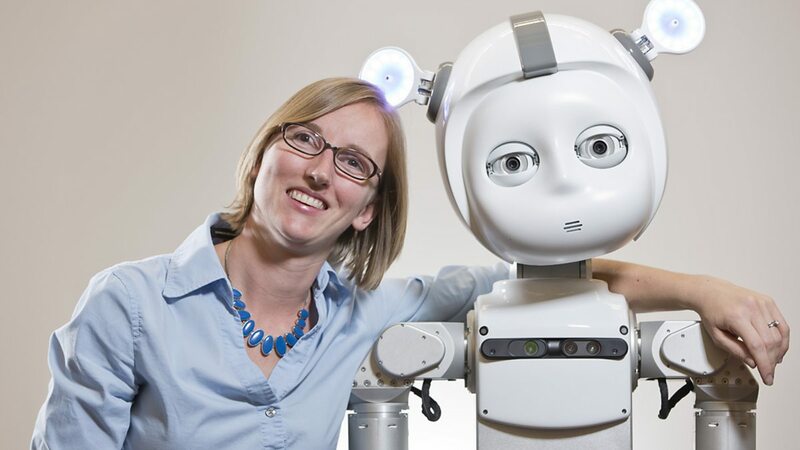 Her research focuses on artificial intelligence, robotics and human-robot interaction, and aims to computationally model mechanisms of human social learning to build machines that are intuitive for people to teach. Prof. Andrea Thomaz received an NSF CAREER award and an Office of Naval Research Young Investigator award. She was named to Popular Science magazine’s Brilliant 10 list and MIT Tech Review’s Top Young Innovators under 35. Both professors are currently seeking smart and ambitious students with relevant research experience.